State archives take up a lot of space. Should we digitise the lot, and burn the books? Finland is taking a radical step. An article by Tom Jeffreys first published on 12 May 2016 in The Long+Short. Behind the grand neoclassical facade of the National Archives of Finland in central Helsinki, a strange and controversial scene is playing out. A man in a dark T-shirt takes an old book from a pile on a shelf. Armed with a pair of scissors and a sharp knife, he slices down the back of its spine, breaks open the binding, and separates out the pages. These are then trimmed in an electric guillotine, stacked together and placed inside powder-blue cardboard boxes. Leftover bindings are thrown unceremoniously into a plastic bin, while the pages are readied for the digitisation machines. For those raised on a belief in books as the pinnacle of civilisation, this is a horrifying scene – all the more so for where it takes place. Archives, after all, are places of conservation, not destruction. But not, it seems, for long. Finland’s National Archives is currently celebrating its 200th anniversary. At the same time, legislation is being finalised that will enable the Archives not simply to digitise its documents but to dispose of them too. This is a radical step. But is it necessary? To answer, it’s important first to understand the logic of the archiving profession. Archives are not museums, and their priorities are not the same. “The National Archives are not about paper, but the data that the papers are covered with,” says Deputy Director General Markku Nenonen. While the National Archives do contain a number of rare and beautiful objects – such as the 1316 letter from the King of Sweden to “the women of Karelia” – its bread and butter is information. This information comes from government departments, private citizens, communities, corporations and third sector organisations. And it comes, for the most part, on paper. Today, it is mostly A4, white, and made from wood pulp. But the National Archives also contains information on parchment, microfilm, and now in the form of digital files. If we understand that information is the priority, then the form it takes is only secondary. Longevity, access, and cost-efficiency are the drivers. Sweden and Hungary are cutting open their books too. It is also worth making the perverse-sounding point that these books are not, in fact, books. They were not conceived as books, nor were they bound by professional – or even particularly skilled – bookbinders. Instead, many of them consist of sheaves of individual documents bound together some years after they were first produced; and many comprise fragile, 20th-century papers made from wood pulp, which is especially vulnerable to damage from the very glue that is holding them together. Having been cut from their bindings, these documents can now be stored horizontally. The new powder-blue boxes are acid-free. What may look like vandalism is in fact contributing to the longevity of the document. But all this may be about to change, as Finland embarks upon a new approach to archiving. The problem with conserving all this paper is that you need somewhere to put it, and that costs money. 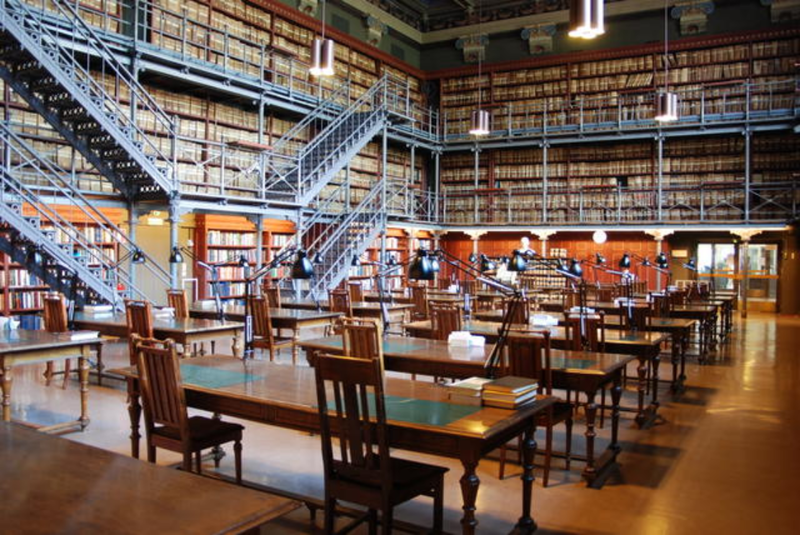 The National Archives of Finland currently has documents covering over 100km of shelf space. Documents requiring a further 130km are expected to come in over the next 35 years. To cope with the influx, a new repository is being built in the town of Mikkeli, around 140 miles north-east of Helsinki. According to the Ministry for Education and Culture, 40 per cent of the National Archives’ budget goes on bricks and mortar. The prime motivation behind digitisation is therefore cost-efficiency, especially at a time of severe public sector cuts. Finland is in its fifth year of recession.